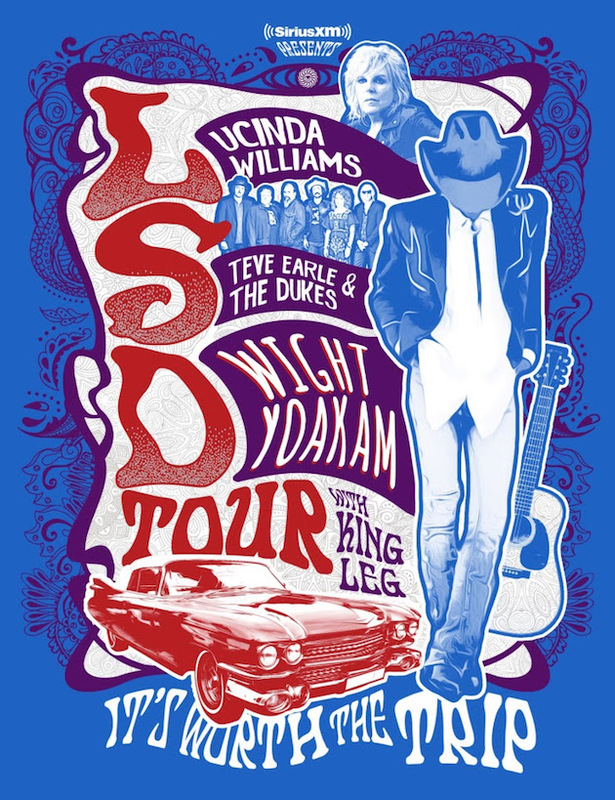 This summer Lucinda Williams, Steve Earle and Dwight Yoakam will come together for what is being called the “LSD Tour” (get it?) These three prominent singer/songwriters made names for themselves as pioneers of the wave that evolved the genre of country music by fusing it with the rock and punk of the day. This new vibrancy, along with electrifying live shows, resulted in a disruptive effect on Music Row’s stranglehold on the genre and drew a sharp contrast to the safe, sterile, industrialized cultural product they profited from much like The Outlaw movement had done a generation before. I was lucky to see Williams and Earle share the stage at New York City’s Town Hall on the “Car Wheels on a Gravel Road” portion of her tour playing her albums in full, but this is the first time Williams, Earle and Yoakam have shared the stage together so I would describe this as pretty badass. SiriusXM will present the tour and recently announced a 24/7 channel curated by Dwight launching in late April titled “Dwight Yoakam and Bakersfield Beat – Where Country Went Mod “ featuring music from Yoakam’s extensive career and celebrates the Bakersfield sound. The summer tour starts at Blue Hills Bank Pavilion in Boston on June 12, continues a run on the East coast, jumps to the West on August 1st play on The Masonic in San Francisco then concludes this leg with a Midwest swing through Chicago; Rochester, Michigan and Indianapolis. Hopefully there will be more dates added including a stop near me in North Texas.